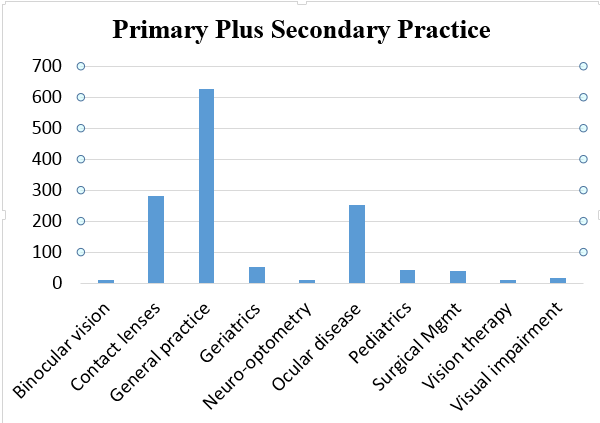 In the Fall of 2015, the American Board of Optometry conducted a job task analysis (also known as a practice analysis), which is the basis for the development of a content-valid certification examination. In accordance with best practices, the American Board of Optometry conducts a new JTA every 5 years to ensure that the content of its certification examination is current and relevant to the profession. Analysis of the JTA results led to changes in both the format and content of the board certification examination, which will debut in July 2016. The new content outlines for both the General Practice Core and the Areas of Emphasis are posted on the website. The changes to the exam format are summarized below. All candidates take the 160-question general practice core examination. Four hours are allotted for this section. 140 of the 160 questions are scored items; 20 of the questions are unscored, trial (or pilot) items. Candidates will not know which items are scored and which are not. The use of trial items is a psychometrically-sound practice that improves the validity and reliability of the examination. Candidates also select one Area of Emphasis (AOE): Additional General Practice, Ocular Disease, or Contact Lenses. The AOE section is comprised of 60 questions (50 questions are scored, 10 questions are non-scored trial items), and 1.5 hours are allotted for this section. 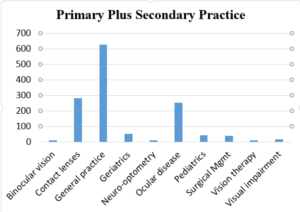 The decision to reduce the number of Areas of Emphasis was based on the JTA survey results indicating that a preponderance of optometrists consider general practice, contact lenses, or ocular disease as their primary or secondary areas of practice. Additional information about the American Board of Optometry’s board certification examination and registration for the July 2016 exam may be found on the website here.